So today I have set off on this journey. My mum took me to Kings Cross to pick up the Eurostar. 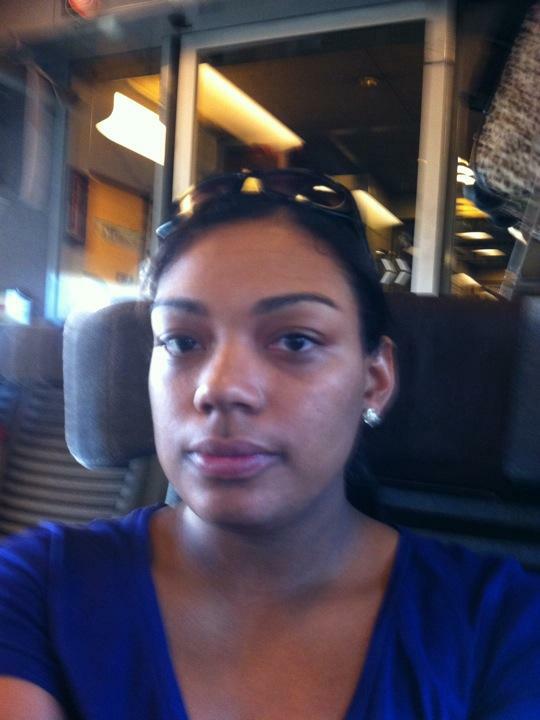 (the pic is of me on Eurostar) she cried when I left her awww. The plan was to get Eurostar to Paris stay 1 night at the airport hotel and get my flight to Malaysia tomorrow morning. Well change of plan. The airline have changed my flight to leave Paris Monday instead of tomorrow. I was a bit annoyed at first because now I have to organise accommodation for an extra night and change dates for my hostel in Malaysia. Now I am on the Eurostar and I thought who cares what's one extra night in Paris???!!! So en route now.